SE corner of Dundee Rd. (Rt 68) and Hicks Rd. in Palatine, Illinois. Two Miles West of Route 53 and one mile south of Lake-Cook Road. 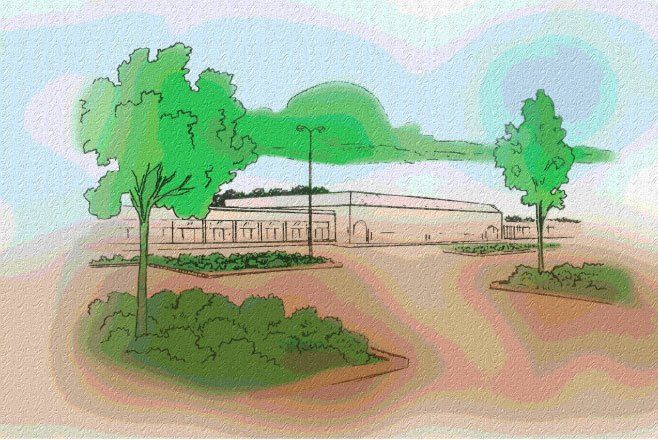 SIZE OF SHOPPING CENTER: Gross Leasable Area 101,338 sq. ft. Attractive landscaping, excellent visibility from Dundee & Hicks Rd. The nearby, rapidly expanding high tech corridor has given rise to the planning and construction of thousands of new homes and apartments in the center’s immediate area. ACCESS Easily accessible from Route 53 and Lake-Cook Rd.